Whether you use a standard card terminal, an integrated PC program, an internet payment processing system or a wireless solution, we have a program tailored to meet your needs. For more information about our Merchant Services, contact our main office or any branch location. Already Signed up for Remote Deposit Capture? Click here to login! Make your business deposits from the comfort of your own office with the HCB Remote Deposit Capture Solution. Remote Deposit Capture is a service provided exclusively to our business customers. This service allows you to utilize a bank supplied scanner that connects to your computer and the Internet. With this scanner you can scan your checks and deposit them electronically to the bank, anytime day or night. Call Toll Free (888) BANK-HCB (888.226.5422) to learn more. Reduce travel - depositing your checks electronically reduces your travel expenses to the bank. Archived information - deposit information is stored online for 45 days or you can print custom reports with check images to keep forever. Deposits anytime - make electronic deposits anytime, day or night*. Multiple deposits per day - with Remote Deposit Capture you don't have to wait for all of your checks to come in, make a deposits as often as you like. Convenience - deposit your checks from the comfort of your own office. *Deposits made after 5:00 PM will be processed on the next business day. Remote Deposit Capture requires a personal computer. 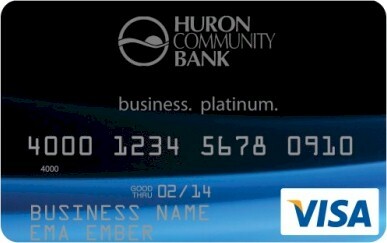 Positive Pay is an automated fraud detection service offered by Huron Community Bank. This service can assist customers in mitigating the risk of check fraud by comparing the account number, check number and dollar amount of each check presented for payment against a list of checks previously authorized and issued by your business. All three components of the check must match or the check will be denied payment. Positive Pay requires your business to send (transmit) a file of 'authorized checks' to the bank each day checks are written. When checks are presented for payment at the bank, they are compared electronically against this list of authorized checks. When a check is presented that does not 'match' the authorized check list, it becomes an 'exception item'. Your business is notified that an item was presented that does not match the authorized check list. Your business can then review the information and determine if it should be paid or returned. Your business benefits with every time-savings practice you put into place. For more information on these and many other ACH and Electronic Services, please contact our ACH Department at (989) 362-6700. Sometimes bank hours just don't meet your needs. That's why HCB offers Night Depository Services at all of our branch locations. You don't have to limit your banking hours to ours. Sign up for our Night Depository Services today! Click Here to Log into the VISA® Platinum Card Website! Access your account balance, payment history, rewards program, etc. using the link above. Platinum Business Edition - Receive our most competitive ARP and use the card for all your business purchases. Whether it's office supplies or dinner with clients. Platinum Business Rewards Make purchases and earn points for every qualifying net dollar you spend. Enjoy points when you order from an office supply store, rent a car or buy airline tickets. Redeem those points for merchandise and travel rewards. Add your employees as authorized users to either of these options at no extra charge. This pay in full monthly card is intended for non-profit organizations, municipalities, and businesses with annual revenues greater than $7 million or employees of 50 or more. *Please see Business Card Pricing Information for current terms, rates and fees. **Travel Accident Insurance - Coverage applies when the entire cost of the fare(less redeemable certificates, vouchers, or coupons) has been charged to the card. Your account must be in good standing. Restrictions to coverage may apply.